Maybe she could see if she got out of the dark? When the investigation into a macabre find leads to an unrelated but more serious discovery, local small town police chief Freddy (Lance Henrickson) and new transferee John (Andy Garcia) have differing views. John believes that the evidence points to the return of a serial killer who was thought to prey on young women in the area some years ago. 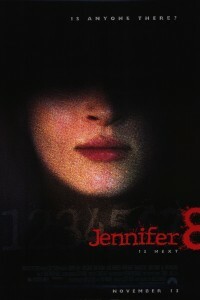 The case was known as the ‘Jennifer’ killings, but despite much time and manpower, it ultimately went unsolved. Freddy and the rest of his staff – many of whom investigated the original case – don’t share this view, with some arguing more forcefully that John is wasting his and everyone else’s time. John doesn’t care. He throws himself into the case, pursuing every flimsy lead scrap of evidence and hunch he can grab onto, often dragging along the reluctant Freddy. This pursuit leads to Helena (Uma Thurman), a shy young blind (ok and shapely) girl at a nearby university. After initial reluctance from Helena the two start to piece together a theory that suggests that not only is John’s hunch correct, but that Helena might have already met the murderer herself. The only difference now is that the cops don’t believe two people. John and Helena find unity in the doubt and derision from others, more so once John decides that Helena might in fact be the killer’s next intended victim. The camaraderie between Freddy and John is easy and unforced, and Uma does well as the vulnerable blind woman that many men wouldn’t mind bumping into. 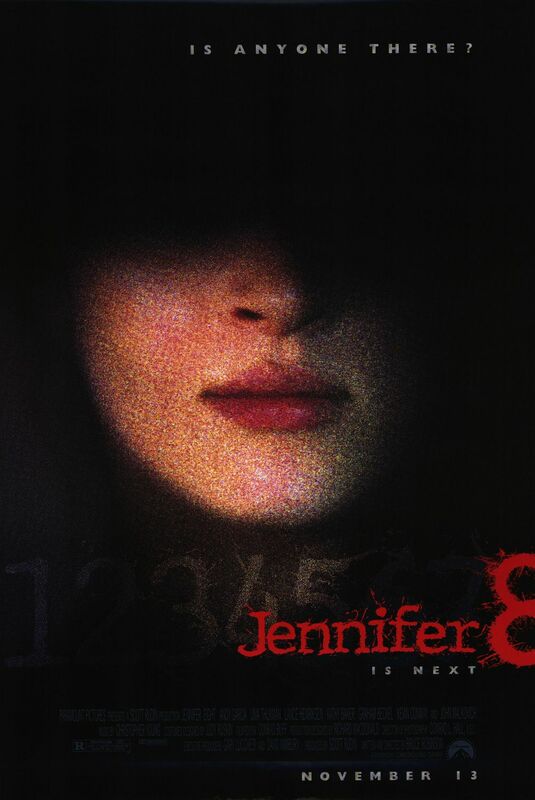 Jennifer 8 is a nice little well paced thriller with the usual red herrings and oscillating cast of possible suspects. The movie maintains interest all the way through the two hours, and the finale proves very satisfying. Final Rating – 7.5 / 10. A well crafted thriller with a lot going for it. Strange no-one mentions this film any more.